When life gets busy and loud, stressful and activity filled, listening gets difficult. Sometimes we barely hear what is going on around us and certainly don’t hear what God is saying to us. Today is a day to hear. Quiet the stress, the worries, the distractions, Facebook, and anything else that is draining your ability to hear Jesus. God is speaking to you and he has something that he wants you to hear clearly. 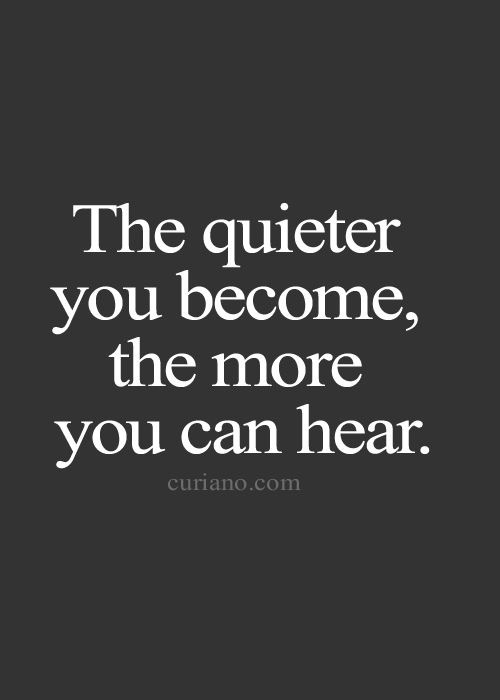 Ask Jesus to give you ears to hear and to prepare a quiet place to receive his word for you today. What is creating the most internal noise in your life right now? What do you need to do to quiet down the external noise to be able to hear God’s voice better?